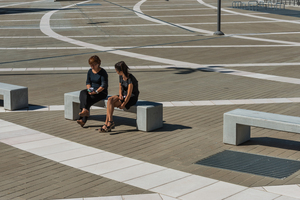 The new square dedicated to Gino Valle, the focus of the urban development plan of the Portello area, opens to the public at the same time as the inauguration of Expo 2015. 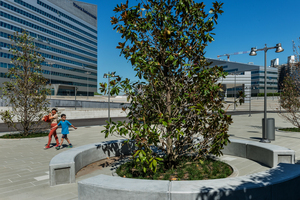 The square, the largest in Milan, can now be reached by a cycle path that starts in the CityLife park and which, crossing all the pavilions of the former Fair, passes through it projecting itself towards the parks of the western belt and the area dedicated to the World Fair. 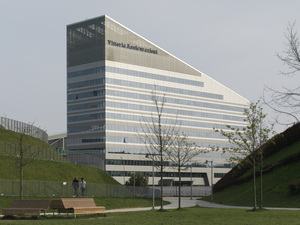 Valle Architetti Associati. 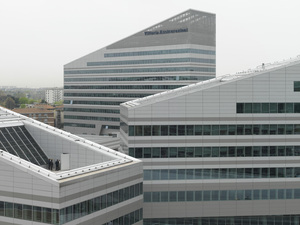 Piazza Gino Valle, Portello, Milan, Italy. 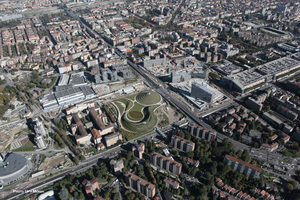 Photo: Giuseppe Dall’Arche (courtesy: Valle Architetti Associati). 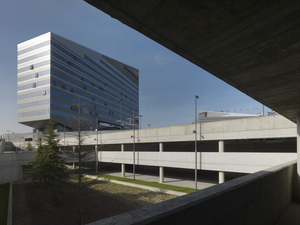 Photo: Hanns Joosten (courtesy: Topotek 1). 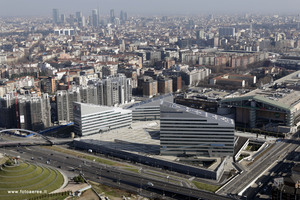 Valle Architetti Associati. 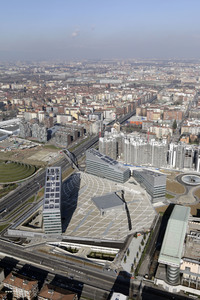 Piazza Gino Valle, Portello, Milan, Italy. 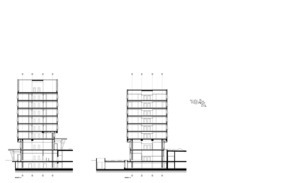 Sketch by Gino Valle for the office buildings at the Portello. 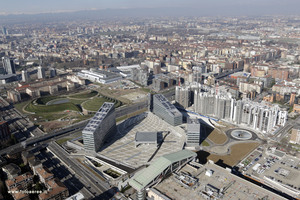 Valle Architetti Associati. 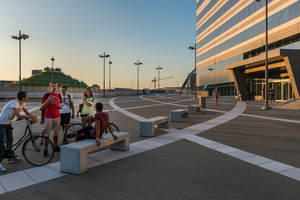 Piazza Gino Valle, Portello, Milan, Italy. 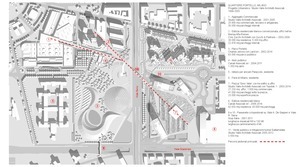 Site plan with legenda. 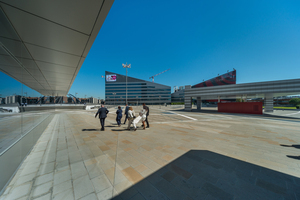 Valle Architetti Associati. Piazza Gino Valle, Portello, Milan, Italy. 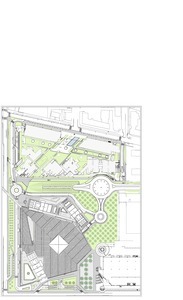 Roof plan with context. 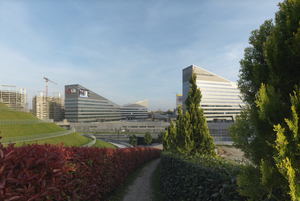 Valle Architetti Associati. Piazza Gino Valle, Portello, Milan, Italy. 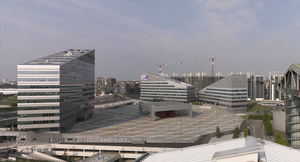 Plan at piazza level. 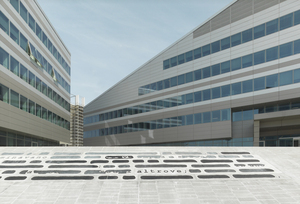 Valle Architetti Associati. Piazza Gino Valle, Portello, Milan, Italy. 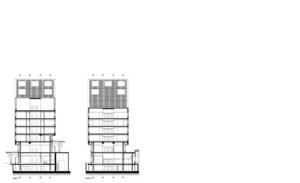 Plan of building A.
Valle Architetti Associati. Piazza Gino Valle, Portello, Milan, Italy. 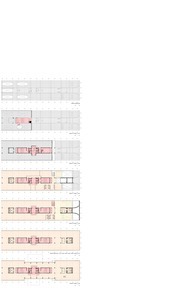 Plan of building B.
Valle Architetti Associati. Piazza Gino Valle, Portello, Milan, Italy. 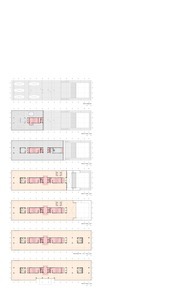 Plan of building C.
Valle Architetti Associati. Piazza Gino Valle, Portello, Milan, Italy. 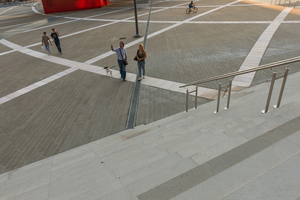 Elevation towards Viale Serra. 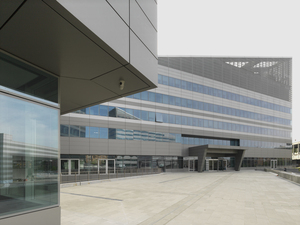 Valle Architetti Associati. Piazza Gino Valle, Portello, Milan, Italy. Elevation towards Via Scarampo. 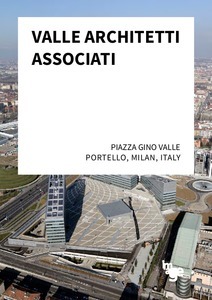 Valle Architetti Associati. Piazza Gino Valle, Portello, Milan, Italy. 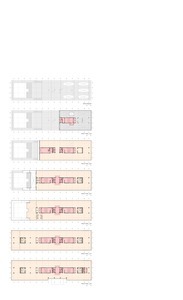 Section through building A.
Valle Architetti Associati. 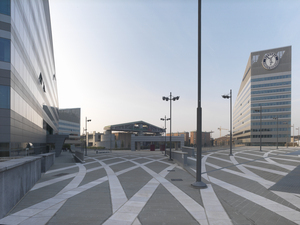 Piazza Gino Valle, Portello, Milan, Italy. 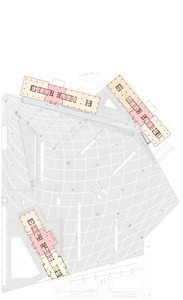 Section through building B.
Valle Architetti Associati. Piazza Gino Valle, Portello, Milan, Italy. 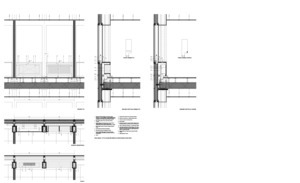 Section through building C.
Valle Architetti Associati. Piazza Gino Valle, Portello, Milan, Italy. Facade detail.